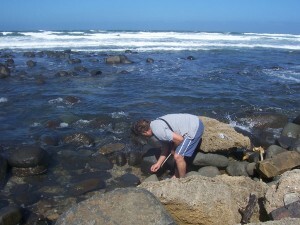 After Sunday lunch dishes we decided to take a drive down to Mermaids Pool near Nahoon Beach in East London, to do some beachcombing. 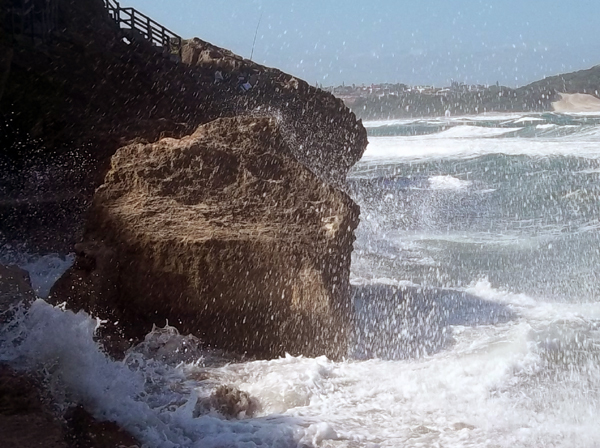 It was windy and the ocean was rough. 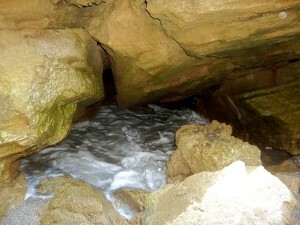 I think we took more photos than we did beachcombing, but we thoroughly enjoyed our short outing. It’s amazing how the wind, sea, salty air, and even the sand can make one feel energized and very much alive. 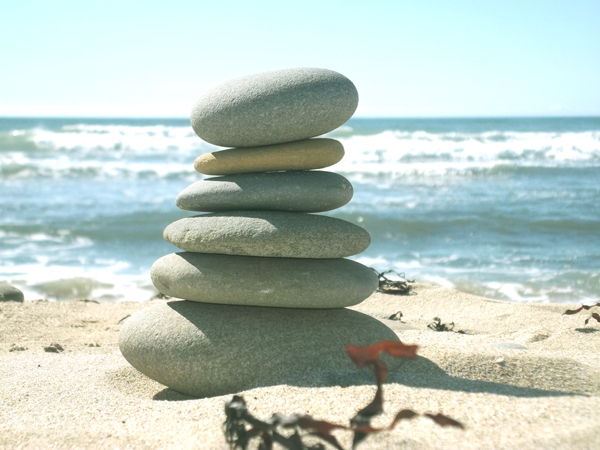 Going to the beach is like medicine for the soul. 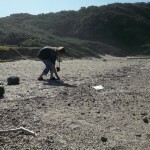 Our primary objective on our beachcombing outing to Mermaids Pool was to find some new pieces of sea glass. I guess the word “new” sounds a little odd. The glass that we wanted to find is old glass, washed smooth by the ocean, and made frosty and milky-looking by the ocean, sand and weather. 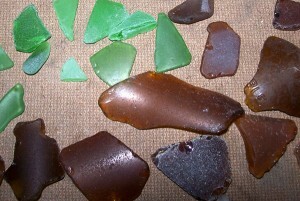 Sea glass. I’m not sure I’ll ever like manufactured sea glass – ordinary broken pieces of sea glass that has been tumbled in something like a washing machine or tumble dryer. 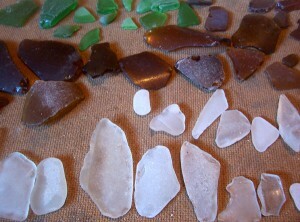 Where’s the romance, magic and mystery in that kind of sea glass? 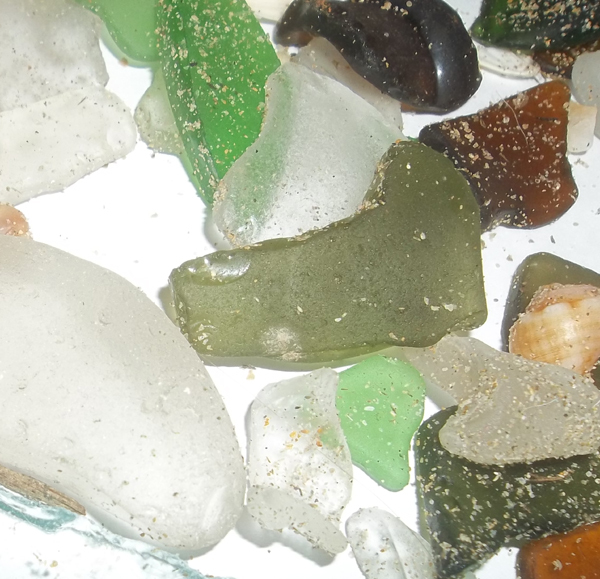 Perhaps pieces of manufactured sea glass look smooth and milky with no little chips in the glass, but oh, to rather find special pieces on the beach, and to even treasure the pieces of sea glass that are chipped, and to wonder about their story. 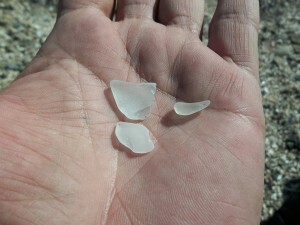 There were quite a few small pieces of clear and sharp glass on the beach at Mermaids Pool, nestled between seashells and pebbles, but these were not the type of glass pieces we were looking for – sharp clear pieces of glass on the beach are not pieces of sea glass. They may become beautiful pieces of sea glass one day, but until they’re milky, frosty, and smooth, they cannot be called pieces of sea glass – until that time, sharp clear pieces of glass on the beach are merely litter and can be dangerous for little beach-exploring bare feet. 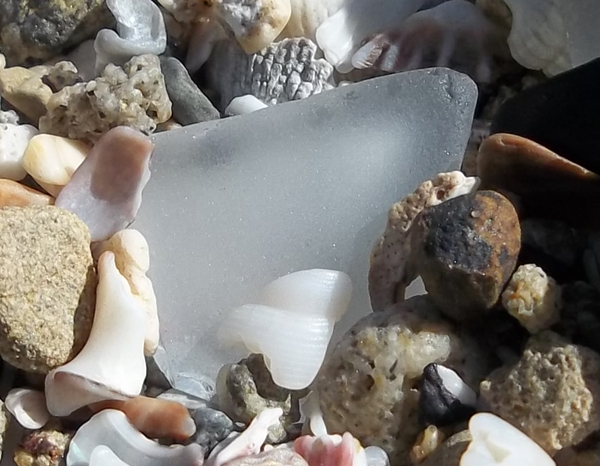 Sea glass is either washed ashore, or is already on the shore but has been battered and eroded by the ocean, sand, and weather over a long period of time. Beautiful. 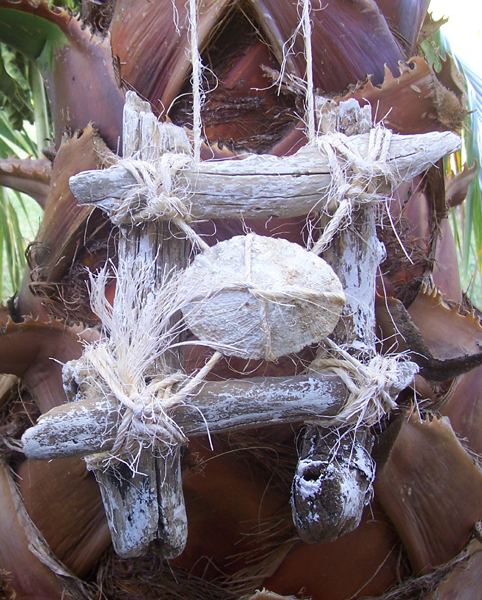 No longer litter, but beach treasure. We found a few pieces of sea glass that we may be able to use in jewellery items like earrings and necklaces – the smaller pieces often have the least chips in them, and are often the most frosty or milky. Oh to find some really good large pieces! We do like the medium-sized pieces of sea glass that we find too, the more-often-than-not chipped pieces of sea glass, as we could use them in mobiles or windchimes perhaps, or as jewellery items for ourselves – or even as jewellery items for others if they don’t mind the chips. 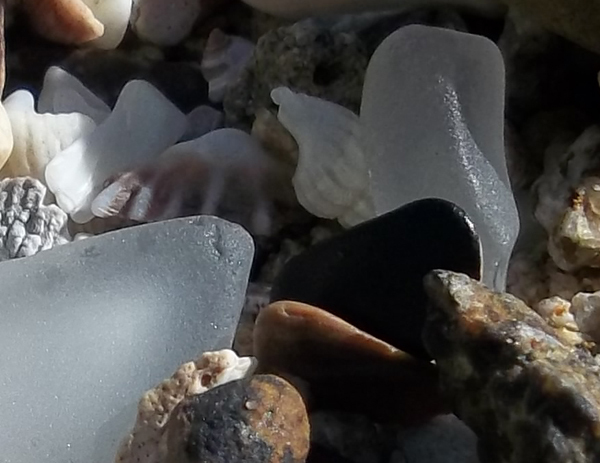 We don’t mind the chips as it tells us the sea glass is genuine and natural, and we find that little chips, cracks or odd edges give the pieces of sea glass character. I think what we most enjoyed about our beachcombing outing to Mermaids Pool today was the rough sea and the wind, and the opportunity to take some photos. 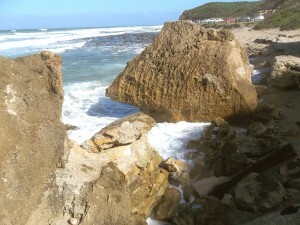 We love taking photographs at the beach. 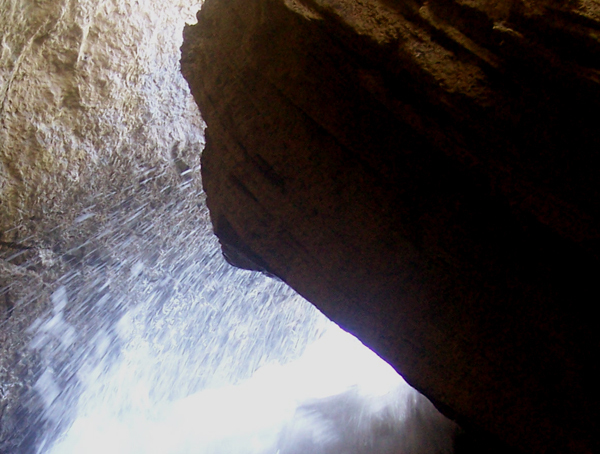 We were a little nervous that we or our cameras in particular would get wet when we took some of the photos, but this made the beachcombing outing all the more exciting. Energizing. Thrilling. 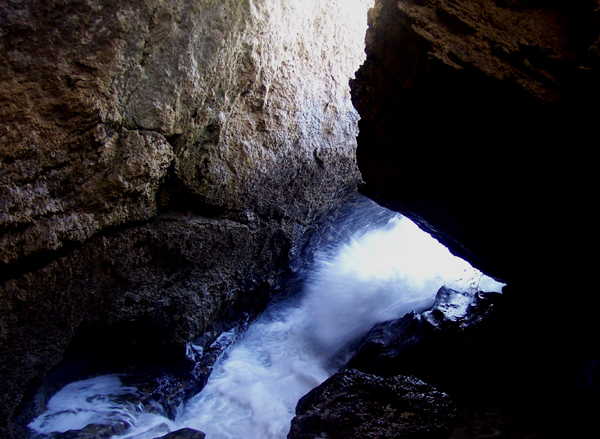 All in all, a good outing to Mermaids Pool – sea glass in our pockets, photos in our cameras, wind in our hair, salt on our faces, and sand between our toes.